The Ford Focus has been one of our top sellers at Car Credit Tampa. It is no wonder- MotorTrend says that “since its arrival in the U.S. for the 2000 model year, the Ford Focus has been among the best cars in the compact segment with each successive generation improving over the previous model.” The fuel economy is great and is a wonderful option for small families, students, those who are just starting out- or starting over again. 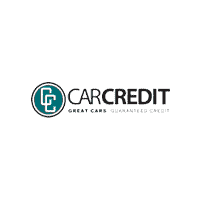 We, at Car Credit Tampa, are always concerned about our clients’ safety when they get behind the wheel. Several of the standard safety features that the Ford Focus comes equipped with are anti-lock (ABS) breaks and airbags. We cannot forget about the all-important air- conditioning that is imperative where we live. In addition to these features and more, the Ford Focus also comes with their SYNC system. This is an integrated in-vehicle communications and entertainment system that allows users to make hands free phone calls, control music and performs other functions with the use of voice commands. Hands-free helps you keep your eyes on the road instead of paying attention to your radio tuner. The Ford Focus was first introduced to the U.S. market in 1999 with the 2000 model. It was designed by Ford’s German and British teams which tend to focus on the sporty more fuel-efficient vehicles. The focus is a fun car to drive regardless of the model that you purchase. While you are out driving to your next destination you will not have to worry about fuel. The Focus has great gas mileage which is handy in this day and age when you never know how much gas will cost. Previously owned Ford Focus’s tend to rank high in the resale market. It is affordable and yet gives the consumer a sound piece of mind that this is a quality product. According to U.S. News and World Report, the Ford Focus has consistently ranked in the top 10 when it comes to quality previously owned vehicles.